Rhizomes resistant to water, used for water filtration. Upright shape. Edible shoots. 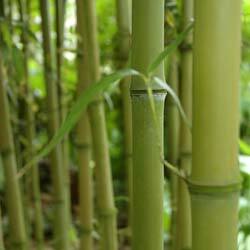 These bamboos which grow with their roots submerged in water help to purify and filter the water. In association with certain reeds, they have already been used for purifying the water of some small communities. They are also perfect for supporting the banks of water courses.